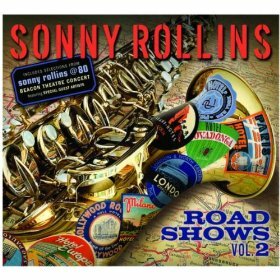 Sonny Rollins’ most recent album is Road Shows Vol. 2 (Doxy Records, 2011). In this interview, recorded at the 2012 Detroit Jazz Festival, Rollins talks about his love for Fats Waller; the world of politics and his place in it; and his feeling that a life in music was always his destiny. Learn more at sonnyrollins.com and follow him on Twitter at @SonnyRollins. NOTE: This is Sonny’s third time on The Jazz Session. He was previously on the show in 2008 and 2010.